It's hard to believe that any high(er) end phone released within the last six months shipped with Gingerbread, but sadly, that's the case. 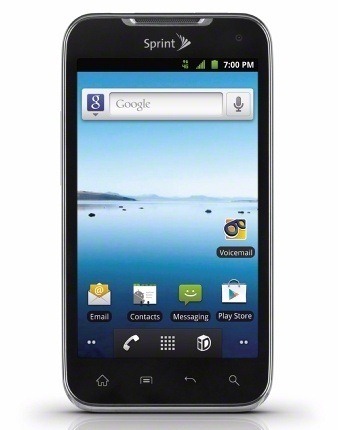 Sprint's first LTE smartphone, the LG Viper, was one such device. 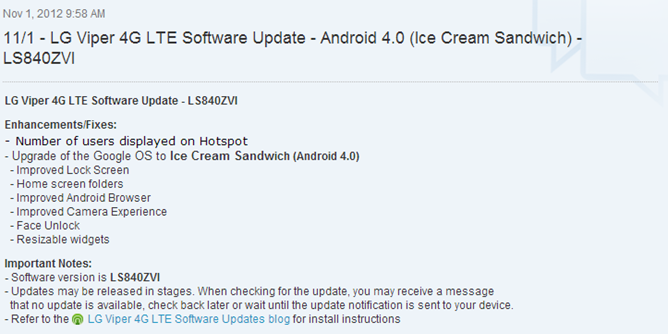 Thankfully, the company is now pushing out an OTA update that will bump the Android version up to 4.0. It may not be the latest and greatest that Google has to offer, but it's still a huge improvement over Gingerbread. To see if the update is available for your device, head into Settings > About Phone > System Updates. Enjoy.